The skirt fabric was purchased a few years ago from fabric.com. The shoes were plain black, purchased at DSW. I decorated them with purple paint and glittery bats. So cute! I love the outfit and you gave me some ideas on my shoes. Thanks! 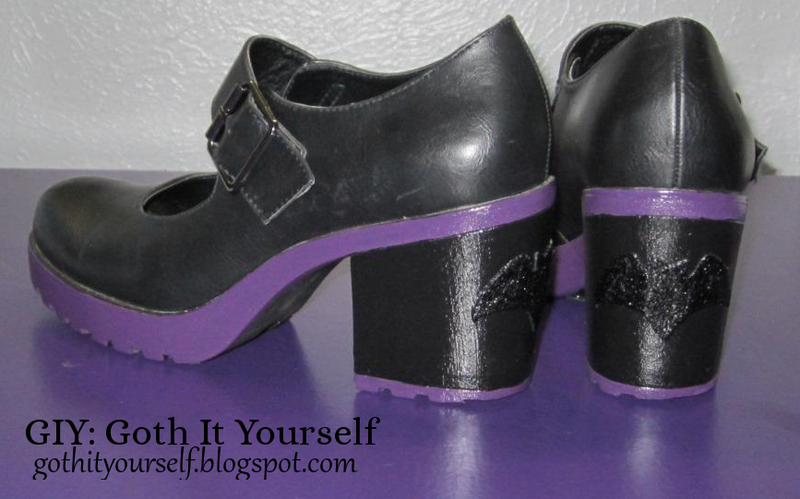 Decorating the shoes was a fun project. Gorgeous as always! You look great! I love how you work your wardrobe! 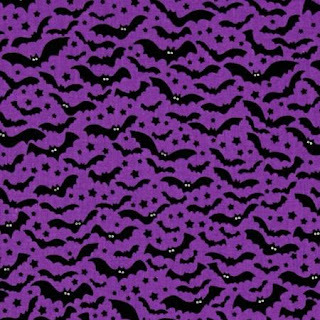 Ooooh, the bat print is purple! Great ensemble! Great Outfit! It looks wonderful!!! I like how the purple on your shoes ties everything together!